A customised, easy-to-use backend that lets staff update content without relying on developer resources. 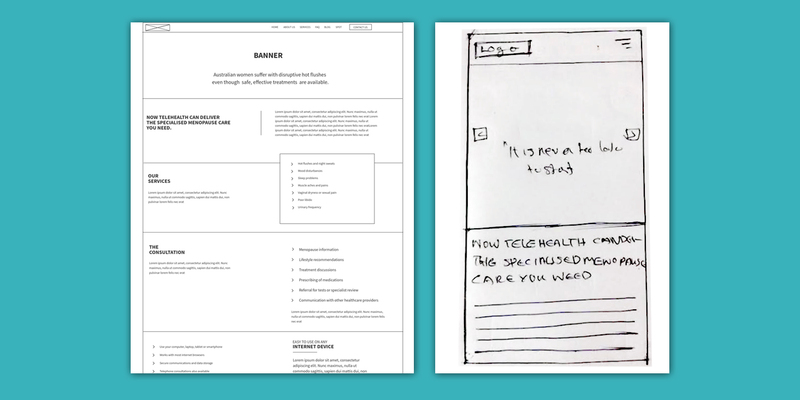 We worked closely with WellFemme to develop their brand language, showing all prototypes to the client before developing. Dr Kelly Teagle had a vision. She specialised in providing support for women’s health at midlife, but noticed many of her clients were travelling long distances to get the advice they needed. To help this, she founded WellFemme, a pioneering women’s telehealth service that makes up-to-date information about women’s health accessible to everyone, regardless of their location. To fulfill their mission, WellFemme needed a portal website that was easy to use by all women, regardless of their technical background. 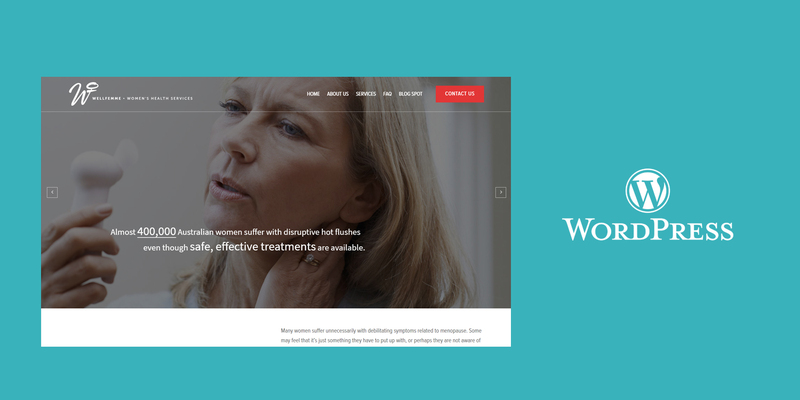 As the first point of contact for many new clients, the website also needed to be warm and welcoming, showcasing the services and expertise of WellFemme staff without making the amount of information appear overwhelming. 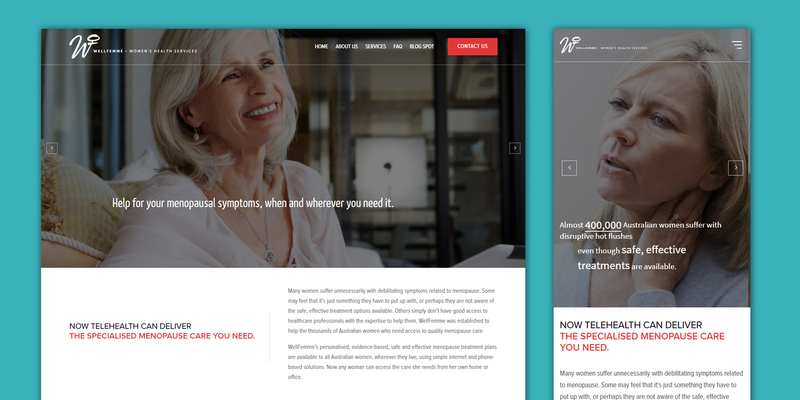 We worked closely with Dr. Teagle while WellFemme was still in the ideation stage, supporting her with initial brand identity development and the creation of a website to compliment market awareness events. We created a warm, sophisticated design structure that carefully used branding colours to guide viewers towards important points of information. Interactive elements of the site that maturer users might be unfamiliar with (such as scrolling through a blog feed bar) were automated to ensure users could see the effect in action. The website was also designed with reference to the Australian Web Content Accessibility Guidelines (level A) to make the site more accessible to people from different walks of life.